Don’t forget Daylight Savings Time is coming up for the USA & Canada clocks go back November 1st! Happy November all! As we start moving into the colder and darker days of winter, many of us start to feel a bit down, tired, or overwhelmed. Darker days can often create a feeling of melancholy. That is why its so important to do things that bring warmth to your environment and your spirit. Pampering yourself in little ways, focusing on crafts or projects in the house you may not have had time for, or taking stock of what you have done and what you wish to do in the coming year; all of these are ways to perk things up a bit. The specials for this month reflect the energy we will be dealing with. I have the seasonal Thanksgiving/Gratitude reading, and a few readings that will help you to explore your current journey in life. All of these can be found in the Monthly Specials section this month along with a few other inspirational readings to help bring balance into your life. Don’t forget to check out the other areas on the Readings page, like the Oracles, Rune and Animal Medicine Cards sections. I have a new addition to my site, a custom Jewellery Sectionwhere I will have my Barefoot Sandals, bracelets, earrings and necklaces on display. I’ll be adding some crocheted items as well soon, and you can also find these items in my Etsy shop. Congratulations to you both! For those who haven’t entered the raffle yet, each month I select 2 random people from entries submitted to win a reading of your choice worth up to £15.00 from any area of my site. For more details, and to enter October’s raffle, stop by and visit the Raffle Entry page! Good luck! Happy Sunday everyone and I hope you all remembered to turn your clocks back in the UK today! I can’t believe that we are once again nearing the end of another months. It feels like October barely got started and now we are in the last week for this month. We’re really starting to feel and see the change of the season now. So, today starts us off with Aries Moon that will take us into the start of the work week. Its an energy that can make us feel restless so we need to do things that move our bodies, like taking a nice walk and enjoying the foliage that is bursting into those bright autumn colours. We also have what many astrologers refer to as a lucky combo with Venus aligning with Jupiter this afternoon. Since both of these planets are in service oriented Virgo, our luck may come from our hard work. Lastly, we have an opposition between Mercury and Uranus that starts late tonight, which will also reach into the start of the week. Her we need to take care with what we say because unexpected comments have a tendency of flying out unchecked now. Let’s have a look at the week ahead of us now. Monday brings us a Void of Course Moon midday, but aside from the influences that started off Sunday, not much else is happening in the skies. Tuesday however brings us a Taurus Full Moon, also referred to as the Hunter’s Moon. This is a very powerful Full Moon energy wise, and its a good time for plumbing the depths of our emotional selves in order to release and heal any behaviours that are self-defeating. Use this Moon to let go of the things that are of no value to you any longer so that you can make room for new things to come into your life and grow. We also have Venus in an opposition with Chiron happening in the afternoon, which makes us a bit more sensitive to the struggles of others. The focus here is on any ongoing problems relating to love and money, which may come to a head now. Some may go through what we call a healing crisis. Basically this means issues may increase before they finally have a breakthrough. We will need to be extra tolerant and allow for compromises and negotiations during this time to be sure it doesn’t all fall into an even worse state. Wednesday is another quiet one with a Void of Course Moon in the afternoon. Thursday morning brings the Moon into talkative Gemini, where short projects and conversations are favourable. Friday brings us a trine between the Sun and fantasy minded Neptune, which is a great energy to get us ready for those Samhain/Halloween parties. Let your imagination flow as you pick your costumes and have fun with it! This is a transit that boosts anyone who is working in a creative field. Its a quick transit though, so make the most of it. As we enter our weekend we have a more homey energy with the Moon entering Cancer in the morning. Its also Halloween so you may feel like dressing up your house for the trick or treaters, or have a family oriented celebration. For those celebrating Samhain, this is the perfect energy for honouring our ancestors. As we move into Sunday we still have that hearth and home energy of the Cancer Moon with us. And it will be be time for the USA to turn back their clocks now! Happy Sunday everyone! We’re now into the second half of October with Samhain/Halloween fast approaching. Not to mention the bombardment of Yuletide advertising that is slowly starting to creep into our day to day lives. I saw the earliest ever Christmas advert the other day…for one of those Christmas catalogues, which was advertising for Christmas 2016! We are also approaching Daylight Savings, which takes place next Sunday for the United Kingdom, and the following Sunday for the United States. Today started off with a Void of Course Moon, which will then move into structured Capricorn later this evening, just in time for the start of the work week to give us that focus we need to get things done. Capricorn isn’t entirely a serious minded, humourless sign though. Capricorn tends to bring what we call “dry humour” and can help us look at some situations with a bit of that humour rather than letting things overwhelm us. Let’s see what the rest of this week has in store for us then! Monday is a fairly quiet one, but that Capricorn energy makes it a good one for fostering business contacts and for working on, or discussing, business projects that are mutually beneficial. Tuesday continues that “quiet in the skies” theme with a Void of Course Moon thrown in later in the evening. Wednesday is when the tone changes and we will be ready for something different to occupy ourselves. The Moon moves into the emotionally cool sign of Aquarius, where we crave the new and unusual, as well as feel a tug towards needing improvement in our lives. This sign does promote social gatherings, brainstorming and making progressive changes, so we have a better chance of being open to new methods of doing things. It can be a very liberating feeling! The next couple of days are great for moving outside of our normal routines. Thursday brings the weeks first challenging transit, Mercury square Pluto. Square aspects usually bring challenges or obstacles that we need to overcome. Mercury Square Pluto is no exception here and we need to be cautious with this transit with impulsive and obsessive interaction between quick to speak Mercury and burn your bridges Pluto. Hidden forces can be brought to light and also trigger some psychological energies within that could, in effect change our lives. This is a time when our minds are more suspicious and perhaps negative. We may find that mistrust dominates the day–whether this is something we meet in others or deal with in our own thinking patterns. We need to avoid that tendency to read more between the lines than there really is, as well as avoiding those who tend to force their ideas upon us. Make sure, when sharing your own ideas, that you aren’t falling into that same category of being forceful with your ideas. Friday morning starts off with a Void of Course Moon that quickly shifts into mystical Pisces. We also have the Sun moving into intense Scorpio, so we get an energy that can feel soft and hard at the same time. This is a time when taking a softer approach can work well, and a time for standing up for oneself. Venus will be in a supportive trine with Pluto today too, where the deeper aspects of love become apparent, without the usual stresses and strains. This is a sensual transit–a time when a little charm goes a long way. Add to this mix a challenging opposition between Mars and Chiron, where we may be exposed to confrontation, aggression and feelings of anger that are more intense than we are comfortable with. This is a time when passive-aggressive or indirect ways of expressing our feelings can work against our best interest. Saturday brings a quiet one with an afternoon Void of Course Moon. It makes a good day for taking it easy and choosing activities that sooth the mind, body and soul. Sunday morning sees a shift into the more restless sign of Aries, and the UK loses an hour for Daylight Savings Time. Sunday is a good day to partake in some physical activities or for starting something new. Aries energy can give us that burst we need to tackle an issue head on. We also have a magical and generous energy happening with Venus in conjunction to Jupiter. Its a social energy that makes a good time for meeting new people. This transit is also believed to be a lucky one, however to see what area of your life this luck will affect, you will need to look at what house this conjunction is taking place in and how it relates to your own natal chart. For example, in the 11th house, luck comes through your friends. In the 5th house, creativity and gambling is highlighted. In your 10th house, luck will come from your career and in your 7th house luck come from love. Lastly is an opposition between Mercury and Uranus, which means we need to be flexible at this time. This is down to “expect the unexpected” Uranus, which can upset or change plans. So try to just go with the flow of things for today. Happy Sunday all! We are nearly at the midway point of October and these weeks seem to be zipping by. Our Sunday morning starts off with a balancing Libra Moon, giving today a more uplifting feeling than we’ve had over the past week. Its a good day for some social activities if you’re in the mood. Or you may feel like soaking up the beauty of nature with its peaceful and balancing vibes. We also have a challenging square between Venus and Saturn happening, which could make it feel a bit difficult relating to others. Try to keep the atmosphere light and try not to read too much into situations, particularly social and romantic circumstances. This transit makes today a good one for reflection. Now, lets take a look at what the rest of this week has in store for us. Monday morning starts off with a trine between Jupiter and Pluto, and an opposition between the Sun and Uranus. The trine between Jupiter and Pluto brings a time of renewal, transformation and destruction (Pluto) where we also find that the search for truth, freedom and wisdom (Jupiter) are all working cooperatively. However, its the energy from Uranus, which seems to be pulling the Sun and Moon apart and brings with it a wake-up call which can come to us in the form of another individual or as a situation outside of our own that shakes us up and out of out routines and habits, pushing us to try a fresh new approach to an old situation in our life. Tuesday brings us a Libra/Scorpio New Moon. We’re in Libra up until late Tuesday night, when the Moon makes its shift into Scorpio. Remember, New Moons are good for fresh starts, and with this unpredictable Uranus energy, this could be a good time for setting ourselves free some some aspect of our lives, especially where relationships are concerned. It’s a New Moon that can help us to step outside of our comfort zones. We also have Mercury sextile Saturn, a supportive transit that can help us to bring mental and disciplinary influences together to create a balanced atmosphere for working together. It makes a good day for doing any type of project that requires research. Wednesday and Thursday are both fairly quiet days in the skies, but we can use the Scorpio Moon on Wednesday for mixing business with pleasure, and its a good day for gaining some cooperation from others in assisting us with our goals. Thursday, however is more supportive of getting our heads down and focusing on projects that wee need to do without constant distractions. On Friday the Moon moves into Sagittarius, setting an optimistic and upbeat tone for the weekend, which looks to be a mixed bag of energies. Sagittarius wants to be partying, but we have ambitious Mars and generous Jupiter in a trine that wants to help us get as much done as we can and be productive. Physical energy tends to run high under this trine and we may find we are able to work longer. Just remember to give yourself breaks too, or you will risk burning out. Saturday brings an opposition between Venus and Neptune, where romance, idealism, fantasy and imagination can blossom into a bright aura that is likely to influence our relationships, interactions, finances and values – for better or for worse! Mars is in a conjunction with Jupiter as well, and we tend to feel especially energized and enthusiastic about what we believe in or regarding business ventures. This is also a transit where we may more readily take chances, and we tend to feel especially strong, positive, adventurous, confident, and energetic under this transit’s energies. Sunday starts with an early morning Void of Course Moon that will enter Capricorn in the late evening, setting our ton for the start of the new work week with a desire for planning and structure where projects are concerned. You may want to use Sunday evening to go over your schedule for the week ahead, or get a start on outlining what will be needed in a project. Happy Sunday everyone! We have a fairly quiet day today in the skies, aside from the Moon moving into Cancer. This is actually the 3rd Quarter, or Waning Gibbous Moon. Its that halfway point between the Full Moon and the New Moon. A third quarter Moon tends to be where we finish up any projects from the past 2 weeks. In home oriented Cancer it wants to spend time in the home or close to it, and amongst family and loved ones. So we can use this day for homey stuff and wrapping things up. Let’s take a look at what this first full week of October has in store for us. On Monday the Moon will be Void of Course by Noon and will stay there until Tuesday morning. Void of Course periods are great for introspection and we can tap into this energy to continue the process of completing those existing projects, tackling simple tasks or even taking time out for meditation. The thing we don’t want to do is start anything new right now! Tuesday morning brings the Moon into loving Leo, where we get to tune in to our inner child a bit. Its a bit like a breath of fresh air after focusing on completing things for the past couple of days. Its a flirty Moon full of sparky inspiration. We also have the Sun making a challenging square to the planet of transformation, Pluto. This is a day for avoiding people of the obsessive kind. We also need to be a bit flexible where our relationships are concerned. Our desires tend to clash with our current circumstances and the demands of others and this tends to make us feel that our sense of purpose, direction, and identity is being blocked in some way. We may feel that we are being overpowered by the powers that be and everything seems out of our hands. Some of us may find ourselves faces with difficult people and situations that mean we have to muster our strength and stand up for what we truly believe in. The trick here is to become centred in our own empowerment rather than in power alone. Let’s add a Mercury/Saturn sextile to this energy. It comes just before midnight and we will feel it into the next day or so, but it is a supportive energy that can help us blend mental and disciplinary influences to create a balanced atmosphere for working together. Our focus is on bettering situations around us so it makes a good time for taking stock of what needs to be corrected or adjusted in our lives. Saturn’s discipline to thinking gives that gentle nudge needed to focus on and work on the small details rather than just looking at the big picture. It’s a good time to focus our energy on completing those difficult tasks we may have been putting aside till now. You may just find that those blocked situations can now be resolved more easily. On Wednesday we have Mars in an opposition to Neptune. This transit can help us to figure out and work with our hidden motives and blind spots that tend to trip us up. You may notice the effects of this transit for up to a week before and a week after the initial date. Here we are given the chance to examine those dreams, hopes, longings and ideals that motivate us. We may find that our actions are now reaching for inspirational heights and ecstatic surrender, something that can bring a sense of release of tensions, or bring us face to face with deception and illusions. For some, it may feel as if we are just spinning our wheels with no real reason why. Try to take it easy if you can today, maybe knock off work a bit early and give yourself a bit of down time. On Thursday afternoon we have Mercury in a conjunction with the North Lunar Node, where our idea are more in focus, especially when we share them with others. Its a time where we could notice something new that gives us a fresher perspective that we will mull over for a few months. Venus moves into practical Virgo towards the early evening, and this now finishes her “leaving the shadow” part of her retrograde cycle that began back in July. Its time to look at all of those priorities and changes around our values and relationships and start implementing and organizing them in the months ahead. But keep up an adaptable approach in decisions and actions for the time. We have the Moon joining Venus in Virgo late in the evening, which gives us that push towards practical activities for the next couple of days. Friday afternoon is when Mercury ends its retrograde cycle, just in time for the weekend rush hour traffic. Mercury was retrograde in the balancing sign of Libra. This means that we can now start to implement those needed adjustments that will give us the balanced life we need. these adjustments will be most significant for our relationships (all kinds of relationships). For example, are you giving more time and energy on some people and not enough on those that you want in your life? Time to fix that! Saturday brings another quiet one our way, but we will probably feel best if we are doing something productive because we still have all of that Virgo energy floating around! 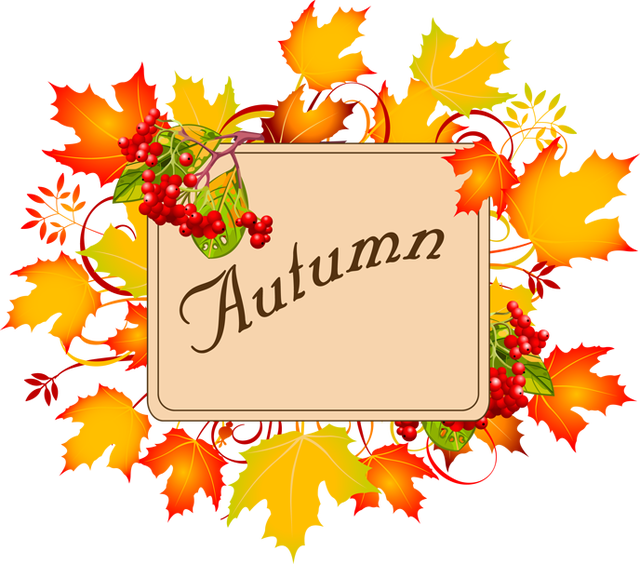 Its a good time for those seasonal projects and getting things in order for the changing seasons now. Cleaning and organizing is something we will feel drawn to today. You may want to get these things done on Saturday before the mood changes though, because Venus will be in conflict with restrictive Saturn starting in the wee hours of Sunday, which will make it hard to get much done. Its also not the best time for tackling relationship issues, so try to put those off for a day. We can get a bit of help from the Libra Moon late Sunday morning. While we may find it difficult to relate to others under the Venus/Saturn influence, the Libra mood does turn to mutual devotion and we look to draw out the best in others. Responses may just be a bit cooler with affection right now. Anxiety, troubles and negative attitudes, or even disappointments in relationships can happen now but try not to take it personally. Under this Moon we especially enjoy being pampered, so maybe take some time for yourself or find the people who are not as hard to relate to right now and spend a bit of time treating yourselves. An idea may come that brings balance to a situation, or has the potential to.